While many films have attempted to convey the experience of the Second World War European battlefield, none adequately portray the mayhem and suffering that befell untold thousands of horses, their bodies impacted by bullet, flame and bomb as well as disease, starvation and backbreaking toil in the searing heat of summer and the freezing winds and snows of winter. In great part, the role of the horse in the Second World War, and in particular their use by the Third Reich, has been eclipsed by the sturm und donner of panzers and Stukas, the iconic images of the German mechanised Blitzkrieg. 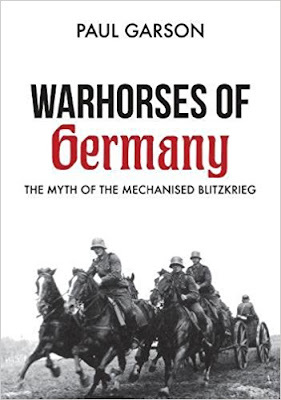 In reality the so-called ‘military juggernaut’ was a myth – the Nazi war machine less metal and more horse flesh. While many of the horses were raised in military breeding centres, others were literally wrenched from farmers’ fields and strapped into harnesses, often fine-bred and unprepared for the rigours that awaited them.